Samoa Airways has started nonstop flights between Brisbane and Apia with Boeing 737-800s, adding about 14,000 seats a year on the route. Flight OL843, operated by Boeing 737-800 I-NEOS, touched down in Brisbane at about 2030 on Tuesday, following its five and a half hour journey from Apia. Samoa Prime Minister Tuilaepa Sailele Malielegaoi was among those on board the inaugural service. The aircraft was on the ground for about 90 minutes before taking off on the reciprocal OL844 to Apia just before 2200. 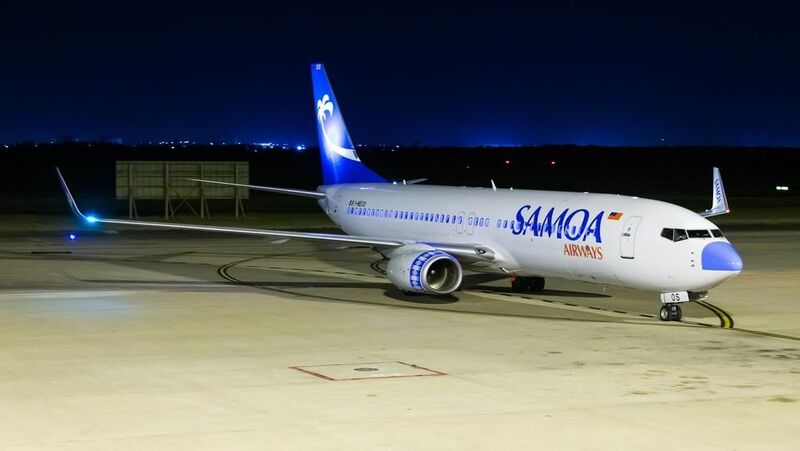 Samoa Airways plans to serve Brisbane twice a week from its Apia hub until the end of January 2019, when the service is reduced to once a week. Brisbane Airport chief executive Gert-Jan de Graaff said the Samoa Airways flight would offer travellers more choice and support tourism. 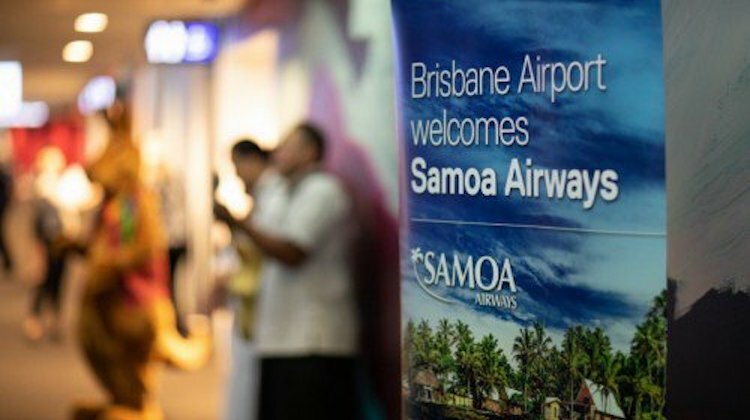 “Brisbane has the largest population of Samoan born people in Queensland, so these new flights help maintain strong cultural familial ties, providing choice and convenience, while saving time and money as travellers are no longer forced to travel via another port,” de Graaff said in a statement on Wednesday. Virgin Australia is the only other airline offering nonstop flights between Brisbane and Apia. 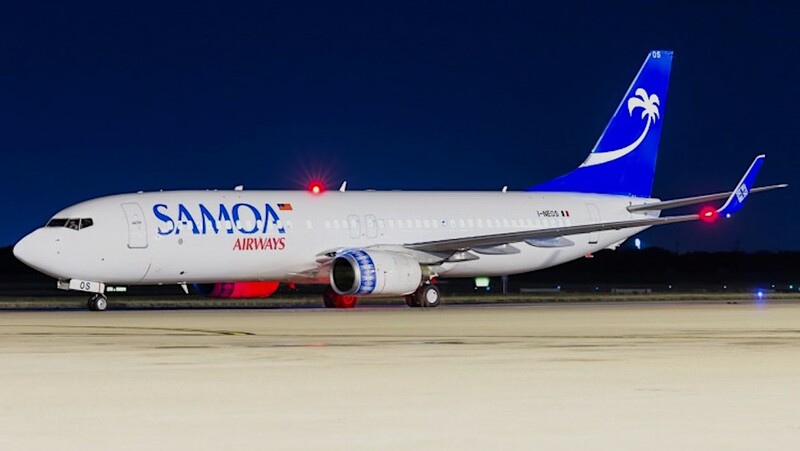 The Samoan government established Samoa Airways as the country’s national carrier in 2017 with a leased 737. In addition to Brisbane, the airline also flies to Auckland and Sydney from its Apia hub, as well as Pago Pago in American Samoa from Fagali’i Airport. There are also a number of domestic routes within American Samoa with a Twin Otter turboprop. The decision to launch a new carrier came after the Samoan government terminated the Virgin Samoa joint-venture with Virgin Australia that was first established in 2005. Media reports at the time said the decision to ditch the JV was due to concerns over high fares. A memorandum of understanding with Fiji Airways was signed to help establish Samoa Airways. Following the termination of the JV, Virgin Australia maintained services to the Pacific Islands nation with nonstop flights to Apia from Brisbane and Sydney. However, the Samoan government denied Virgin Australia’s application to operate between Apia and Auckland. It’s interesting that while this article describes Samoa Airways new non-stop service to Brisbane the two photographs used in your article were clearly taken on very different occasions. In the top photo the B737 has a light blue and white nose cone from the livery of the previous Italian operator, Neos. The second photo shows a completely white nose cone. Did the plane make a visit to Brisbane prior to the scheduled service commencing perhaps which would explain the different nosecones? wasn’t it reported that Samoa Airways are paying over the odds to lease the aircraft ? You’d think they could lease a 2nd 738 cheaply in northern winter season. The term hub may be a bit excessive for Apia!!! I do wonder about the logic of these small and quite poor countries, like Samoa, trying to maintain their own airline. Given the needs of their population, an airline that will never make money, require significant financial assistance and only be used by a tiny portion of the population seems a waste of resources. This is not just a criticism of Samoa but a number of Pacific countries who will never achieve anything approaching an economy of scale to operate an airline. It seems aggrandizement by politicians more than anything else. 2 words Fiji Airways !!! They are booming, especially out of Asia. They codeshare with Cathay from many of the destinations all over Europe/Asia + they now fly to Singapore & back to Tokyo. Reeves35 you should learn to be less ignorant. Without Samoa Air my sister and kids wouldn’t have been able to visit Australia for last xmas. 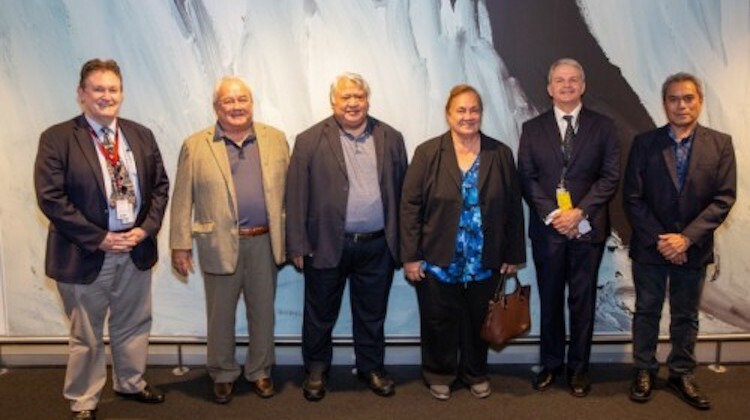 Providing a service for Samoans to come to Australia at almost half the price of other airlines – and providing a great service – helps Samoans. The benefit of Aussie tourists going on the plane back only makes things better. Please don’t make comments when you do not understand the people who benefit from a great government initiative. yes, but Samoa does need a 2nd & 3rd aircraft. Luckily aircraft leases are getting cheaper with all the airlines folding. Plenty of 738s around. They need a 2nd aircraft fast, even if only leased for 6 months over summer. Plenty of UK/EU airlines parked their aircraft in northern winter. Some Canadian & US airlines do aircraft swaps with EU airlines. Especially from Canada, as Canadian love to escape their winter & head to warmer climates in eg. Mexico.